Cruiserweight Tony Bellew has summed up the whole Nonito Donaire vs Ryan Burnett situation just about as well as anyone this weekend. In a heartbreaking defeat for former champion Burnett – he was forced to retire from the fight following a freak accident that saw him suffer a back injury. So sad to see Ryan Burnett leaving the ring like that.. Donaire is a proper gentleman and a great fighter who wouldn’t wanna win like that.. 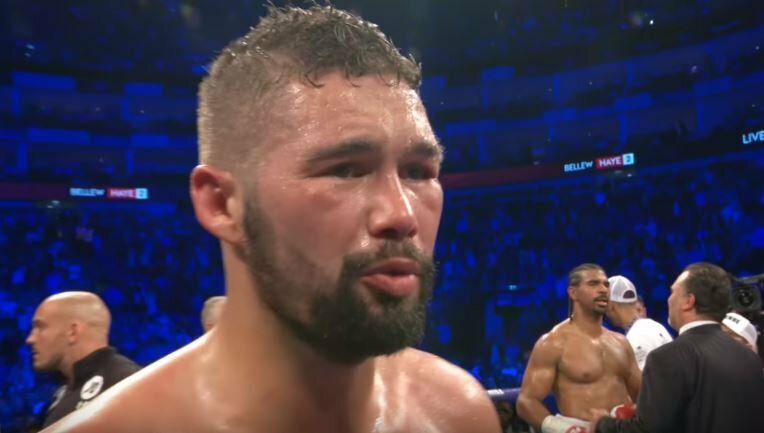 I just wish and hope for a speedy recovery for Ryan..
Bellew himself is in final preparations ahead of his own upcoming world title fight this weekend when he challenges undisputed cruiserweight king Oleksandr Usyk in Manchester live on DAZN in the US and on Sky Sports in the UK. It will be the first time Bellew boxes back down at cruiserweight since his two stoppage wins over David Haye up at heavyweight in his previous two bouts.